My blog is called Watching the Daisies – Life Lessons on the Importance of Slow. It is also the name of my memoir. I have an illness called Fibromyalgia which has forced me to slow down considerably. I was writing my memoir and following a great blog by Catherine Ryan Howard. In June 2015, I traveled to Dublin for a self-publishing conference and Catherine was one of our tutors. I followed all her advice and my blog was born in February 2016! 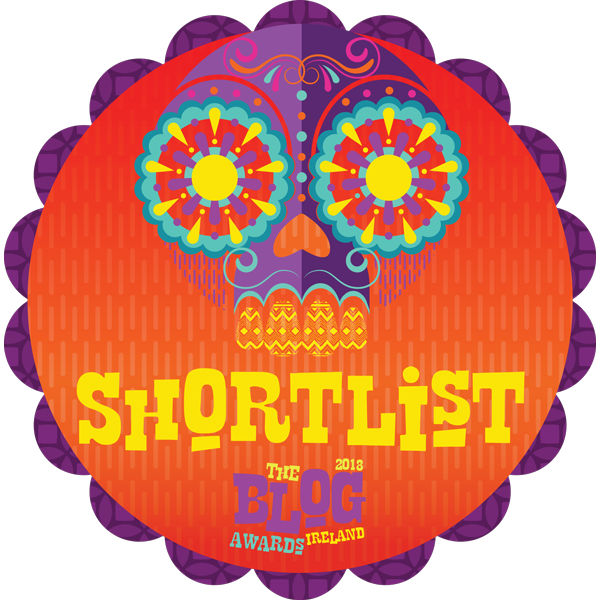 My blog was shortlisted in the Ireland Blog Awards in 2016 and 2017. However, I am thrilled on a daily basis when people find my posts helpful and give me generous feedback. I aim to inspire readers and keep my posts positive. I also like to inject a little FUN. It is wonderful to connect with other bloggers and readers from around the globe. I am thankful for the awesome support that runs throughout the blogging community. I use WordPress as it is easy to use. I am still a bit of a technophobe and help is always available from technical support. I blog on a variety of topics – self-healing and natural medicines, gardening, travel, Nature, walks in Donegal, thankfulness, creativity and crafting, self-publishing. I try to keep within these categories. In 2016, I blogged daily but since then I write one or two posts a week. Treat others as you would want to be treated. Respond to comments and thank your readers. Take time to follow other bloggers. I spend around 20% of my time writing my posts and 80% replying, reading other blog posts, linking to others on social media. I have been posting in Senior Salon for nearly two years, and I link to Old House in the Shires monthly gardening posts. They are a great way to meet other bloggers with similar interests, and awesome friendships are formed. Gardening is my passion, and I find it great therapy. I love to sing and I am a member of our church choir. In winter, I attend a weekly women’s group where we learn a variety of new skills including decoupage, calligraphy, vegetarian cooking… I have been a fan of yoga for many years and attend a class throughout winter and spring. Cooking is another joy and I love to try new recipes. I also love to travel and explore other cultures. I retired in June 2016 from teaching organic horticulture in schools. I am happy being 60+ My self-esteem is much better than my youth. I feel good about ME. I always write a gratitude list at the beginning of every day, and give thanks for all its blessings at bedtime. I wanted to be a doctor but God had other plans! After spending 13 years in the life assurance industry, I followed my heart and retrained in natural medicines. I was one of a small group of natural medicine therapists in Scotland in the late 1980’s. I facilitated LOTS of self healing classes including community projects, a women’s prison, Stirling University Open Studies and Summer Schools from 1993 to 1999. Despite succumbing to ill health in 2003, life is full of blessings. I have learned to slow down and I appreciate each and every minute of every day. A really good interview! I enjoyed reading it. I was particularly surprised and impressed by you career change. It’s a long shot from life insurance to self healing and organic horticulture. It seems to have worked out for you really, really well. I really enjoyed getting to know you more Brigid, a beautiful post! It was great that Bernadette bought us together 😀 in Senior Salon. Do I enter a link of a post, such as a post I did on that day or some other day, or a link to my blog? What a lovely post Brigid. Good to read this again. Esmé has started a really good series with these interviews – I enjoyed doing mine, too, and it’s a great way to learn more about fellow bloggers. Wonderful interview and the photograph of you and the Clematis superb. I enjoyed stepping into your world with the answers to questions. Blessing to you always. Yes it is a short time, but when they do it is splendid. Good interview, Brigid and Bernadette. 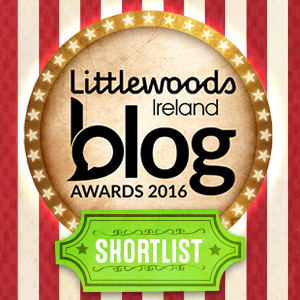 Brigid–I couldn’t say the goal of my blog any better than you did–inspire with a dab of fun. I was curious when I read the words Senior Salon so I’m glad you shared the info, I’ll have to pop by one day and say “hello”…I enjoyed learning more about you, Brigid, and your love of life! I loved the interview. I wish I lived closer because that winter women’s group where you try out new things each week sounds wonderful. Someone had a great idea. Thank you so much for sharing this on your blog and the write-up. Much appreciated.Should any of your followers like to participate please do not hesitate to get in touch, as I would like to Interview all of you. Thank you for your comment Brigid on “My Neighborhood”, I was sent an email notification of your comment (as they send) but for some reason when I went to comments to approve & reply after logging in to WordPress your comment is nowhere to be found! No idea what has happened. Somehow I had missed this interview when it first appeared at Bernadette’s blog home. So enjoyed reading it here – much of it I knew from reading your memoir, but you answer Bernadette’s questions with great verve, keeping the answers short yet complete. And the best way to communicate! Love reading this Brigid!! I learned more about you!! Thanks for posting this! hugs! I didn’t know you were a teacher!! ❤️ PS I love the idea of a daily gratitude list!